I’ve seen the idea of ‘book boyfriends’ going around on twitter recently, and it’s such an excellent idea I couldn’t resist writing a list of mine. These are fictional characters who you would totally marry if they were real and available, like, no questions asked. Straight to the alter. So. Here are mine. Note: these aren’t all from YA books, but the ones that aren’t, are from books I loved as a teenager anyway. The perfect example of a fixer-upper. Howl is messy and mopey and obsessed with his looks, to the extent that he has to be literally prodded into dealing with the Big Bad affecting the plot. He gets drunk and sulks and casts thunder spells on everything when a girl rejects him or something happens to his hair, and he’s the worst. It’s the best. Literally…. if you haven’t read the book or watched the film, do both immediately. Both versions of Howl are slightly different and they are both amazing. I can’t think of another male character like him, he’s ridiculous and brilliant and I would hate him if I met him irl, but in books, I want to read about him forever. Levi! LEVI!!! Literally the perfect man. He has a farm. He wears plaid shirts. He worships Cath more than anything else. He has special starbucks drinks. GOD!!! [drawn out whine] LEVI. Ladies and gentleman, if you aren’t yet aware of Dream of the Endless, I have the profound pleasure of presenting to you the immortal babe and literal God, Morpheus. 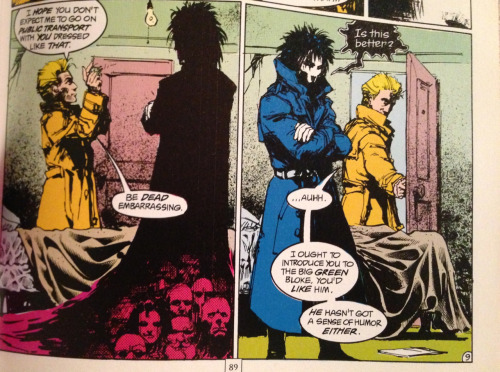 Sandman is a series of graphic novels written by none other than our lord and saviour Neil Gaiman. Dream is the God of Dreams, basically, but more importantly he’s A STONE COLD BABE. He’s very mysterious and ghostly, and he has a bit of a twisted sense of morality, but he always tries to do the right thing, even when faced with impossible choices. He changes and shifts his appearance a lot, but he always has the same dark hair and floaty cape thing going on. It’s a thing, and I love it. Okay, yes, most of my choices are very nice and sweet. But we all need a bad boy occasionally, and Locke is definitely that. Locke is leader of a pack of thieves. He is extremely witty and clever and dangerously naughty, and he is absolutely in love with his girl to the point of worship. He’s got everything. He’s probably another one of those guys who I’d hate in real life, but who needs real life when there’s fictional thieves, eh? My darling Remus. My love for him mainly originates from The Shoebox Project, which I still maintain is one of the greatest works of fiction I have ever read. He’s sweet and kindhearted and considerate, which a sarcastic side, and he’s a bit like Bruce Banner/the Hulk in that he is very clever and gentle and pacifist, but if he has to get in a fight he will destroy everyone else. Hnnnng. This is a new addition to the list, who has immediately displaced whoever was in his place before. Gansey. GANSEY, GUYS. My one and only. My mental image of Gansey is literally Dylan O’Brien, which is superb. He’s obsessive about his interests, he worries a lot about upsetting people and actively tries to fix his stupid mistakes, he’s not afraid of admitting when he’s wrong, he cares about his friends more than anything, he’s literally described as “very classically handsome”, and he’s my darling. There are a lot (lot lot) of eligible gents in The Raven Cycle, but Gansey blows them all of the water imho. GANSEY. That is . . . very, er, detailed. For a Young Adult novel, aimed at Young Adults. He is also a complete sweetheart, when he’s not made of wood and attracting the embarrassed gaze of the local necromancers. He worships Sabriel more than anything, and he is kind and lovely and gentle but also killer with a blade. Perfect guy. he gives pet centaurs to his crushes!!! he’s very diligent about being a good king, he takes his work SERIOUSLY. he really really likes ella. He is another case of a love interest who worships their lady, so I’m sensing a theme here. I’m not going to say Matt worships Kate….but okay, he totally worships Kate, straight up. I’ve clearly honed my interests from a young age. Prince Char is short for ‘Prince Charming’, so it’s no surprise he’s excellent, but for me he goes beyond just charming and into UTTER PERFECTION. He’s a genuinely lovely sweet guy. Ahhh, Char. CHAR. i would give up a lot of things for a grown up artemis fowl novel. a flustered artemis fowl in college suddenly getting chatted up by tons of girls and boys who are ‘into nerds’. artemis fowl at a job interview having to actively stop himself being rude to the boss because he really wants that research grant. artemis fowl trying to cook a fancy meal to impress a first date and burning it because he gets distracted arguing with someone on reddit. artemis fowl reluctantly being Butler’s best man and giving an unexpectedly heartwarming speech that makes nearly everyone cry. artemis fowl mentoring a baby genius and shaking his head over what an idiot he used to be. artemis fowl. everything artemis fowl all the time. I can’t explain it, but there’s something about the super genius rich boy who gets to me. He’s got a lot of flaws, but he’s very aware of them and tries hard to fix them. He cares about his family and friends and has a lot of character development over the course of the series. If I could kidnap Eoin Colfer and persuade him to write a grown-up Artemis spin off, Misery style, I would. GIVE IT ME. So, those are my top ten book boyfriends. Writing this, I sensed a lot of common themes which are evident in my character Matt in The Next Together. He’s a mix of all of these (expect maybe Locke Lamora, who he is definitely not). I hope he comes across as just as devastating as some of these lovely boys. 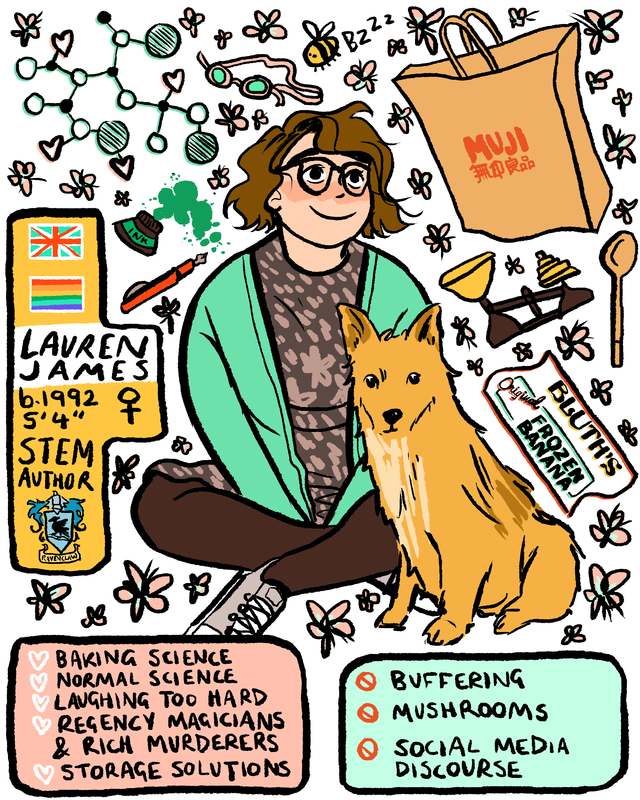 This entry was posted in book recommendations on 26/04/2015 by Lauren James. I love everything in this post ❤ and it makes me exceptionally excited about The Next Together because I NEED to meet Matt. For me the books these boys come from are a perfect mix of books I have already read and loved (Howl's Moving Castle, The Raven Boys, Artemis Fowl, Harry Potter, Fangirl), and books I plan to read very soon (like Sabriel, Sandman, and The Gentleman Bastards series, which I have already purchased in full because I know I'm totally going to love it). Exodus, however, is totally new to me so I'll have to look into that. I loved reading your vision of grown-up Artemis. I grew up following that series. I have so much love for Arty, it's unreal. My intense love for Howl, however, is a relatively recent phenomena. It's gotten to the point where I have a massive need to create an oil painting of him, in his black mourning suit and hair, during his battle with the Witch of the Waste. Howl. I hope you love Matt as much as Howl and Arty, then! You should definitely read Sabriel asap, it’s one of those books I reread every year. Top favourite! Exodus is also amazing, but I don’t think it can compete with The Old Kingdom series. I must have watched HMC at least 50 times when I was a teenager, so I would pay good money for a Howl oil painting. DO IT. Ahhhh! I love this list. Howl and Touchstone in particular!